Have your teeth professionally cleaned. A routine dental visit, which includes a professional cleaning and exam, is one of the best preventive healthcare values there is. It’s a chance to catch dental problems (including potentially serious ones like oral cancer) before they become more difficult to treat. A dental professional can remove built-up deposits of tartar from your teeth using specialized instruments—something you can’t do at home. Plus, you’ll leave the office with a freshly polished smile that looks and feels great. Get a professional teeth whitening. Having whiter teeth often makes people look more youthful. And one of the best ways to brighten dull teeth is with professional teeth whitening. You can achieve the fastest, most dramatic results with an in-office treatment—up to ten shades in just one visit! We can also make you a custom take-home kit to achieve similar results over time. Repair chipped teeth. 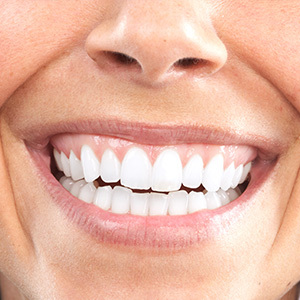 If you feel self-conscious about a chipped tooth, consider cosmetic bonding. In this relatively inexpensive procedure, which often takes just one office visit, tooth-colored resin material is applied to the chipped area and hardened under a special light. The translucent resin is built up layer by layer, bringing teeth with minor flaws back to a great, natural-looking appearance. Replace old dental work. Sometimes old dental work can stand out more than we’d like it to. This is especially true of amalgam (silver) fillings—but even white fillings can absorb stain after many years. 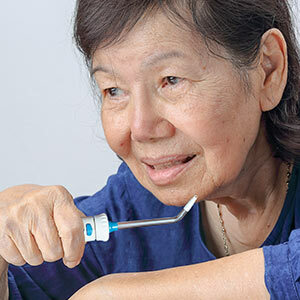 If you feel old dental work is detracting from your smile, it may be time to replace it with up-to-date dental materials. Straighten your smile. Did you know that there is no maximum age for successful orthodontic treatment? It’s true: Healthy teeth can be moved at any age. And if you think metal braces wouldn’t fit in with your look or lifestyle, consider one of the less-visible alternatives to traditional orthodontic hardware—such as ceramic braces and clear aligners.